You’ve got no more excuse. As historian Andrew Hartman pointed out recently, we used to be able to shrug our shoulders and say that we really didn’t have many historical examinations of America’s culture wars. That’s not the case anymore. Hartman gives us a list of new books coming out in 2015—including one by your humble editor—that look at key aspects of America’s long fight over morality and education. Daddy, What did YOU do during the Culture Wars? 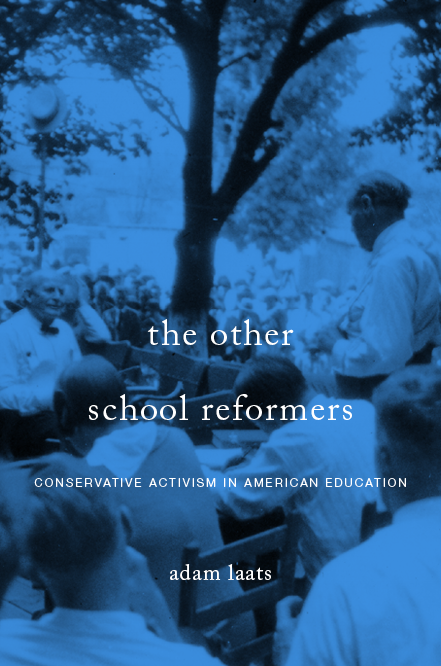 Hartman’s list includes his own upcoming War for the Soul of America, as well as my Other School Reformers, Stephen Prothero’s Why Liberals Win, Natalia Mehlman-Petrzela’s Classroom Wars, and Jonathan Zimmerman’s Too Hot to Handle. As you’ll see when you check out Hartman’s full post, these books promise to establish a new tradition among historians and the reading public. Best of all, these books will give us plenty to read and argue about for the rest of the year.